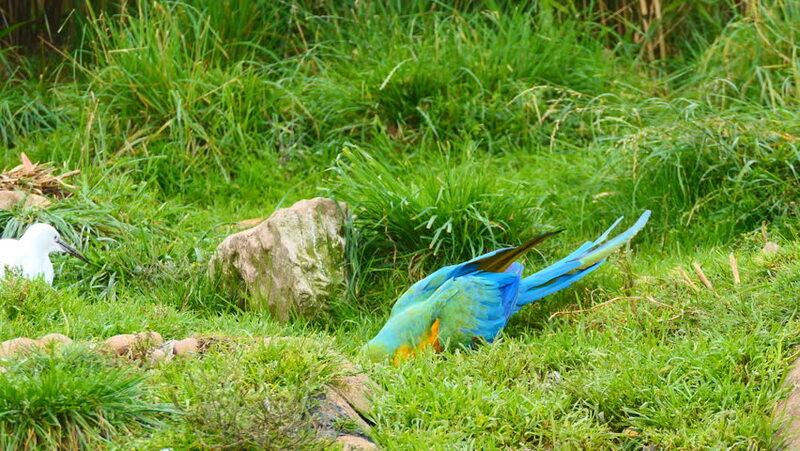 A colorful parrot on the grass. 4k00:12An ara parrot on the grass. hd00:18An Asian water monitor (Varanus salvator) consumes some carrion watched by a Golden Jackal (Canis aureus). hd00:16Red and green winged macaw parrot, animal bird on tree branch in jungle forest park, genus Ara chloropterus with big beak. Beautiful tropical nature wildlife background.